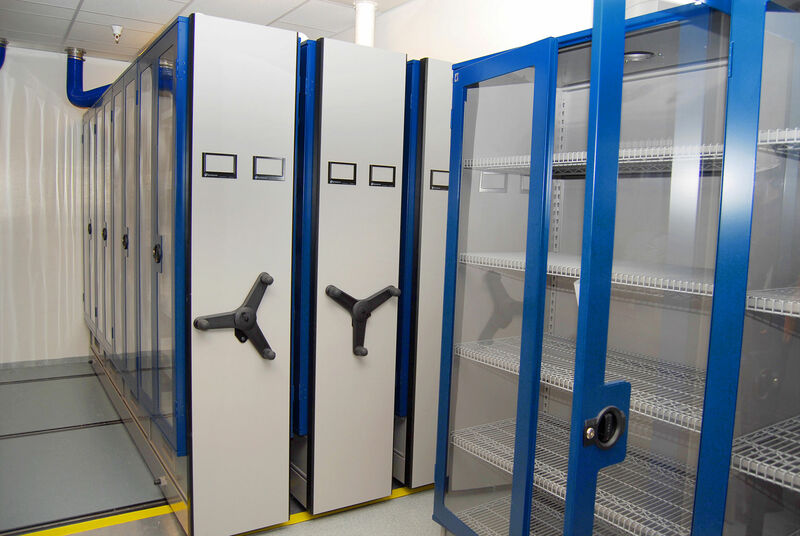 Increased capacity and HVAC integration in one mobile storage system. 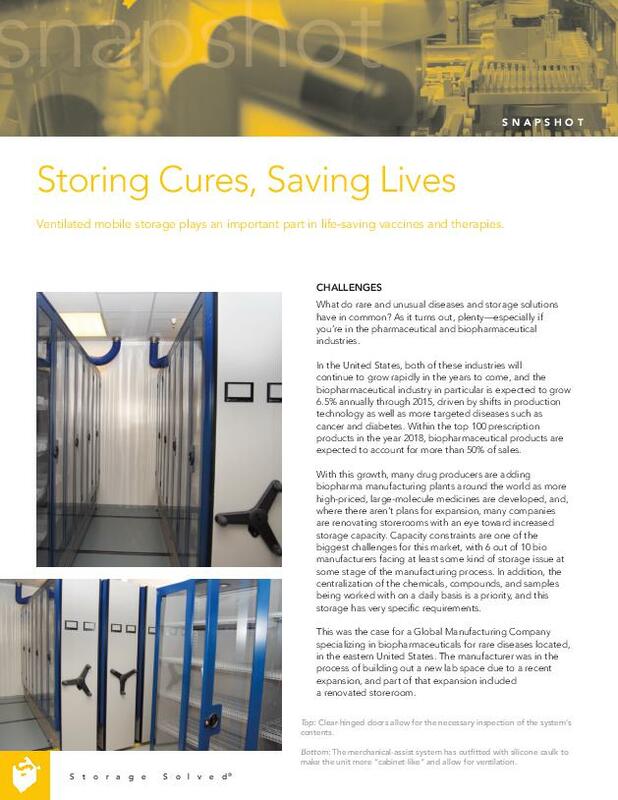 When a Global Pharmaceutical Company located in the eastern United States was looking to renovate their storeroom on the heels of a recent laboratory expansion, the major goal was two-fold: to store compounds and samples in a centralized location, and to optimize that storage for temperature control. 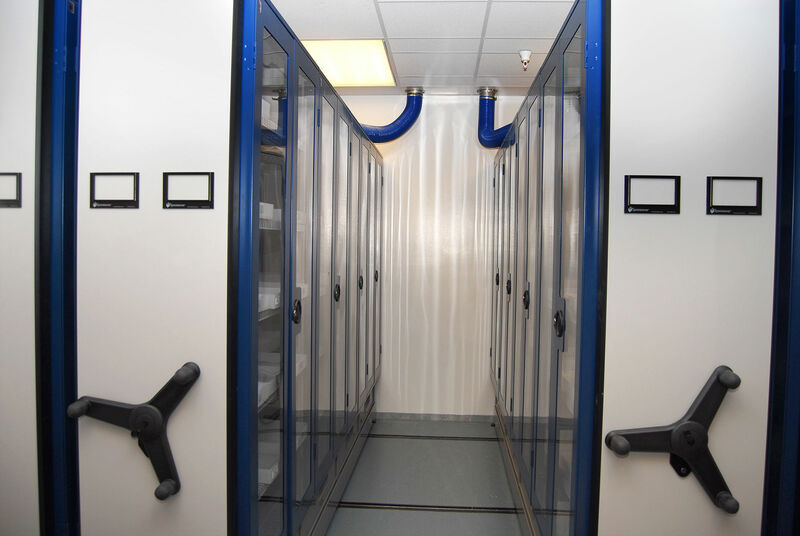 The company enlisted in the assistance of Fred Halsall and the team at Donnegan Systems, a Spacesaver Industrial distributor, to create a 4-post mechanical-assist mobile system modified to allow for HVAC integration. 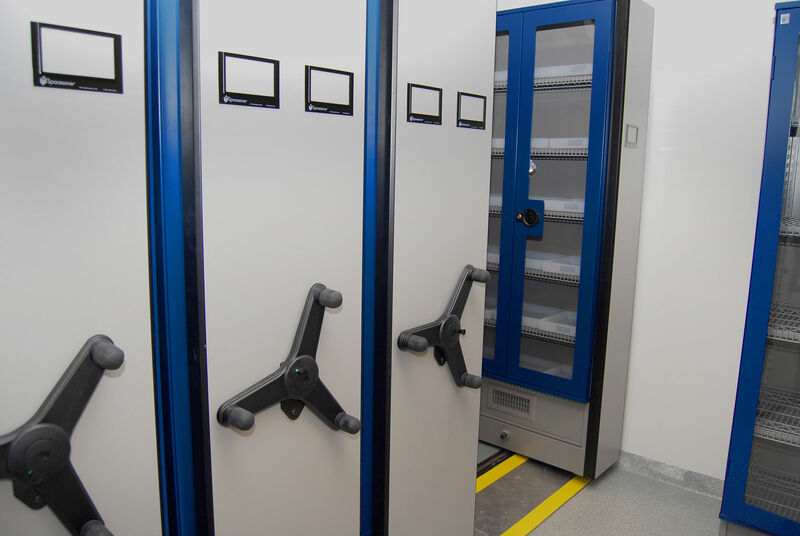 The result was an airtight, temperature-controlled solution that ensured safety and quality of life-saving vaccines and therapies.